Eggplant (scientific name Solanum melongena)—also known as aubergine in France, and brinjal in other parts of the world—are not actually a vegetable but rather is a fruit. It belongs to the nightshade family of vegetables, is distinguished by its dark purple and shiny skin. This fruit has been widely cultivated back in the ancient times in southern and eastern Asia. It used to be more of a decorative plant due to its bitter taste rather than as food when it was first introduced in Europe. 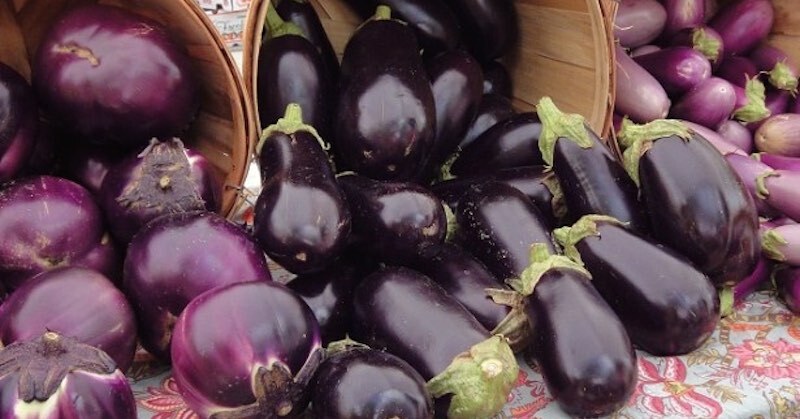 New varieties of eggplants nowadays seem to be better tasting than its ancient ancestors. Eggplants are good for the digestive system since it contains a good amount of dietary fiber. It contains some of the B vitamins, and vitamin K. In the minerals department, there are potassium, folate, copper and manganese. Eggplant was once considered “poisonous” because of its relationship with the nightshade family (Solanaceae). Anecdotal case histories link improvement in arthritis symptoms with removal of nightshade foods. However, there are certain health benefits that eggplant has to offer and you may want to consider adding it in your diet if nightshade foods don’t bother you. Anti-cancer: Eggplants contain chlorogenic acid that holds promise in many aspects of health very similar to the benefits of bioflavonoids. This means that it has anti-cancer benefits that may get rid of harmful free radicals. Blood circulation: With the help of vitamin K and bioflavonoids found in eggplants, it promotes strong capillaries which in effect prevent blood clots. Brain function: Thanks to its anthocyanin phytonutrient substance called nasunin, eggplants are great brain food. Nasunin helps protect cell membrane which can boost brain function. Cholesterol level: Eggplant juice is a source of phytonutrient terpene which can help prevent oxidation of cholesterol in the body, more specifically healthful for the heart. Dietary fiber: Eggplants are a good source of dietary fiber which is scientifically proven to help stimulate your digestive tract and promote regular bowel movements, thus reducing the risk of certain diseases such as colon cancer and other digestive system disorders. Weight loss: If you are on a diet, try including eggplants in your meal. It has very low calorie count and high fiber content that keeps you feeling full for longer. Eggplants don’t have high water content, thus cannot be used in juicing. 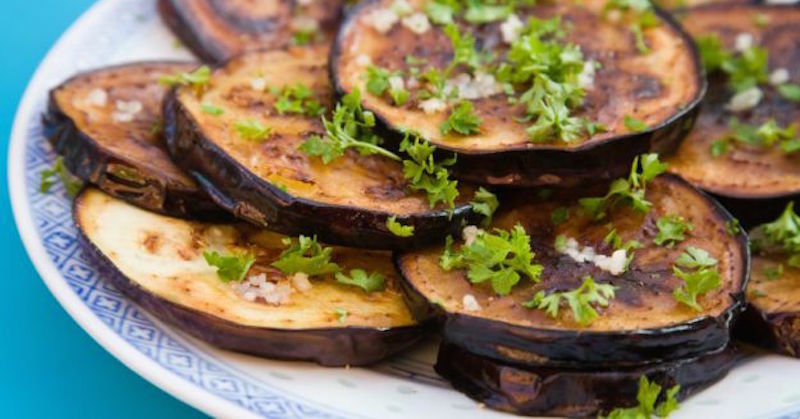 You can enjoy eggplants baked, grilled, or in stews. They can be eaten with or without the skin. When buying eggplants, be sure to check if the skin is shiny and firm without bruises, to ensure freshness of the produce. People with low iron levels are not advised to eat eggplants due to its nasunin content that binds with iron and removes it from your body. It is also not recommended for people who are prone to kidney stone due to oxalates found in this vegetable.